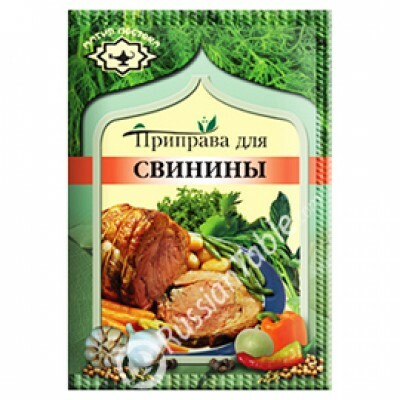 Seasoning for Pork "Magiya Vostoka" buy for 0.7900 in store RussianTable with delivery. Used as an aromatic seasoning to give tender taste and scent to pork dishes. Net weight 15g. Ingredients: red sweet pepper, red hot pepper, ground black pepper, coriander, zira (ajowan), savory, basil, garlic, onions, caraway, fennel, salt, taste and scent intensifier (sodium glutamate). Do you have any questions about Seasoning for Pork "Magiya Vostoka"?